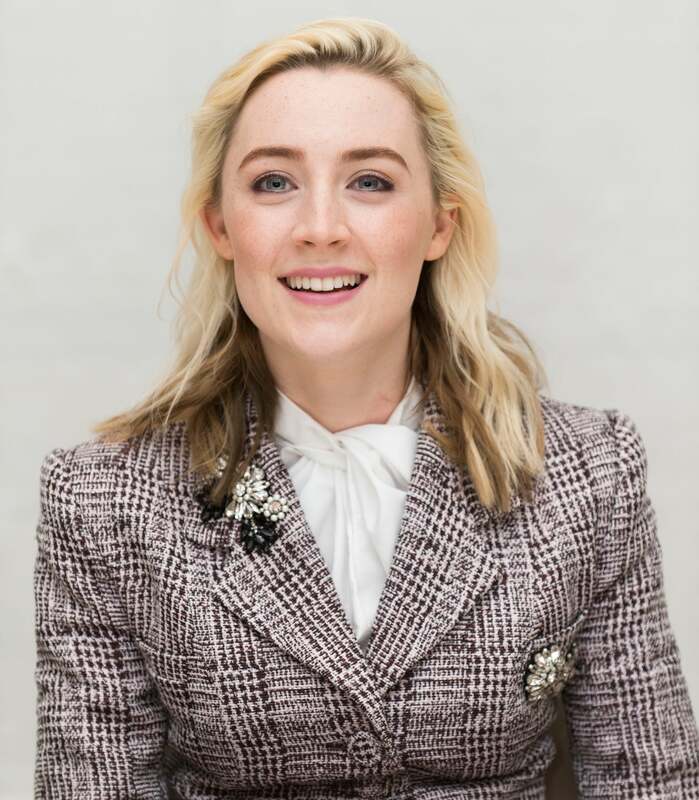 Already nominated for three Golden Globes at the age of just 23, Saoirse Ronan isn’t merely one of her generation’s most lauded actresses – she’s also amongst its most versatile, with her nominations spread out across all three film performance categories recognized by the Hollywood Foreign Press Association. First up was her nod for Actress in a Supporting Role, for 2007s Atonement, followed by Actress in a Motion Picture – Drama, for 2015s Brooklyn, and, now, Actress in a Motion Picture – Musical or Comedy, for this past year’s Lady Bird. Taken in sum with her stage work (she starred in a 2016 revival of The Crucible), her proficiency with accents (if one knows Ronan only from her movie roles, her thick Irish brogue might come as a surprise in person), and a diverse filmography that includes everything from Peter Jackson’s supernatural-tinged The Lovely Bones to the classically romantic Brooklyn and Joe Wright’s stylish action-thriller Hanna, it’s easy to see why some have compared Ronan to a young Meryl Streep. An only child who holds dual Irish and American citizenship, Ronan was born in New York City, to parents who repatriated to Ireland when she was three years old. It’s that ancestral lineage that provides her unique name (despite the spelling, it’s pronounced “Seer-Shuh”) – something which took Ronan a little time to come around on. “I didn’t love my name a lot when I was younger because it was just different and nobody else had it and nobody could spell it and nobody could pronounce it,” she admits. “But now I like that nobody has my name.” Ronan started acting as a teenager (both her parents had experience, and thus turned her on to the arts), and never looked back – breaking out as the youngest version of Vanessa Redgrave and Romola Garai’s character in Atonement. In writer-director Greta Gerwig’s Lady Bird, meanwhile, Ronan delivers a star-making performance that summons forth with perspicacious clarity all the whiplash contradictions and surging, hormonal impetuousness of youth. She stars as Christine “Lady Bird” McPherson, a strong-willed high school senior desperate to head east for college, and escape what she believes to be the boring confines of her hometown of Sacramento, California. This attitude puts Christine in a state of near constant conflict with her mother, Marion (Laurie Metcalf), who along with her father, Larry (Tracy Letts), has struggled to put Christine through private school on a very small family income. This year figures to be a high-profile one for Ronan, too, with starring roles in two films hitting the screen – The Seagull, an adaptation of Anton Chekov’s classic play from Tony Award-winning director Michael Mayer, and the highly-anticipated Mary, Queen of Scots, opposite Margot Robbie. After that, though, Ronan isn’t sure what the immediate future holds. The Manhattan-based actress isn’t beholden to any big, sprawling, cinematic franchises, and seems instead to favor thoughtful projects that pique her intellectual curiosity – as well as actually living a normal life, in order to give her necessary real-world perspective to be her most creative. Given all that she’s already accomplished at this young age, it would seem foolish to bet against her.